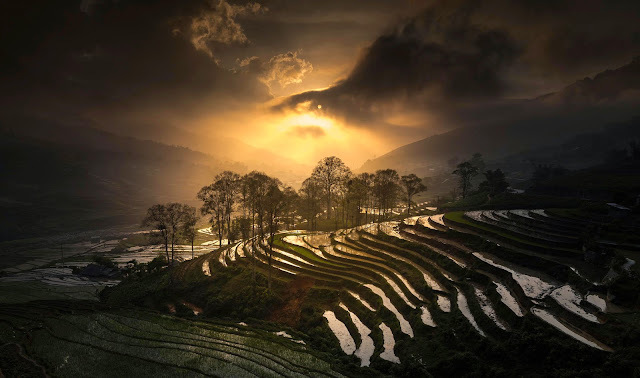 Sapa Vietnam, impression in natural and human! 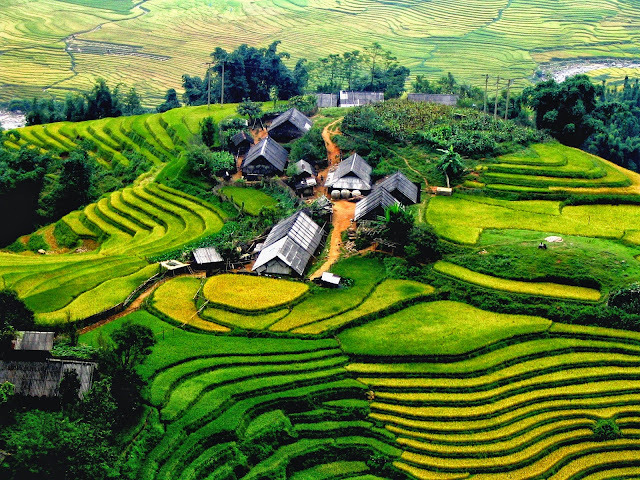 Home / Holiday Packages / Sapa / Sapa Vietnam, impression in natural and human! These patterns are still mysterious about their meaning, yet prove the existence of ancient people and rich culture of this place. Heading towards more 2 km, tourists can reach the Heaven Gate – the only spot can be reached by a built road to open a view to Fansipan Mount and to the rice field valley. Ham Rong is a historic site and emplaced with many plants and flowers, especially many endemic orchids. Giay people’s “Roong Poc” is celebrated to aspire for fruitful harvest and harmonious weather for cultivation. “Tet nhay” (Dancing Festival) of Dzao people is also a special treatment to those who are interested in discovering ethnic culture. 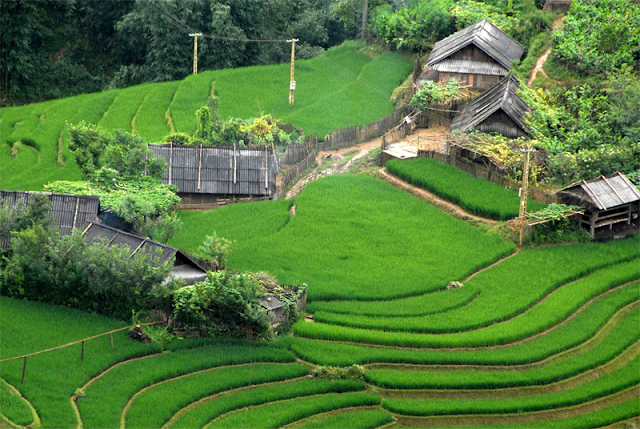 Sapa is also well-known for Cho Tinh (Love Market), a place for ethnic people to socialize and seek for their perfect match. It is organized only on Saturday night and has become a typical trait of this small town. 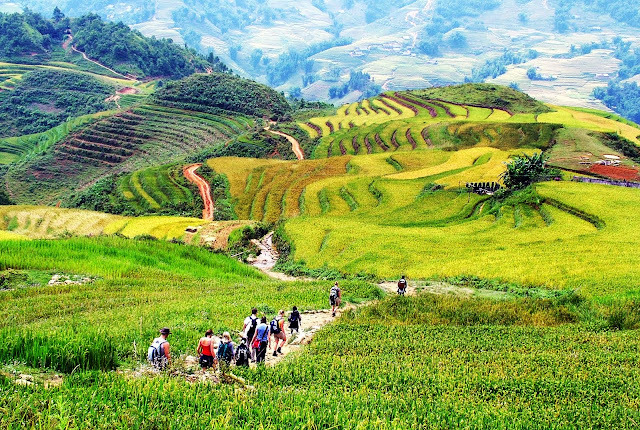 Trekking tours are usually organized to some ethnic communities to visit these people including trekking through Giang Ta Chai village of Red Dzao, Cat Cat, Sin Chai villageof Mong, Ta Van village of Giay people. 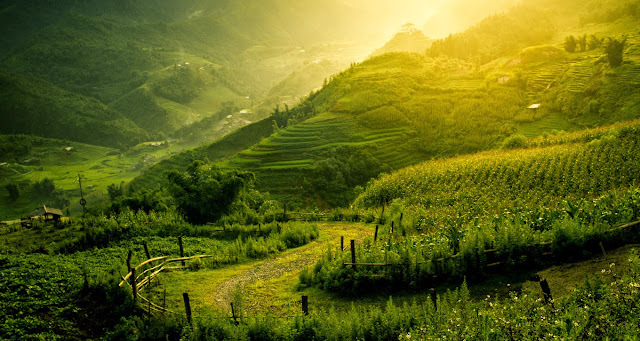 Furthermore, because of its comfortable climate, Sapa Vietnam is a paradise of subtropical fruits, flowers, vegetables and other agricultural products. Especially, peach, plum, roses, salmon, sturgeon are the specialties of this productive land. In spring time, the blossom of wild cherry, plum-trees and flowers which become a picturesque scene will definitely fascinates anyone coming here.